Whit a great location, Krystal Grand Punta Cancun is found just a few steps from the conventions center, shopping malls, restaurants, cultural attractions and the best nightlife of the city. The resort has a unique location facing the ocean, with stunning views and an extensive and wonderful white sandy beach. 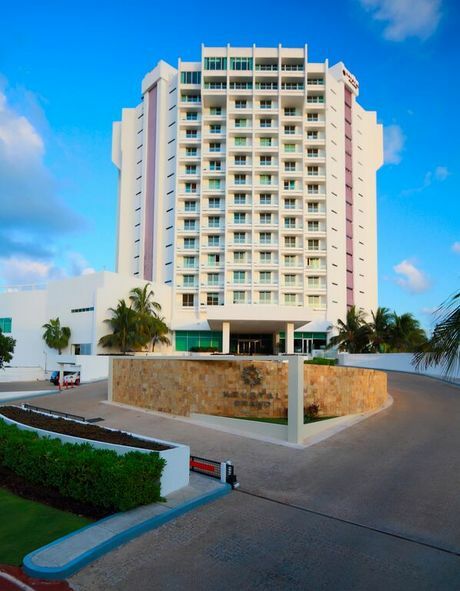 Grand Punta Cancun Krystal has a wide variety of services that will ensure the needs of all guests and customers. Personalized service and event spaces, combined with the high quality that this hotel offers, guarantee a memorable experience. - Wedding and events coordinator. Explore dining and entertainment options at Krystal Grand. Enjoy delicious and diverse dishes with the best view of the Caribbean Sea. - O : Located in the main lobby and overlooking the Caribbean Sea. The restaurant offers a delicious and invigorating breakfast buffet or à la carte options, including a compelling variety of croissants, desserts and fresh bread made in our bakery. - The Grill: It offers a gala of international cuisine also served in the poolside, with stunning views of the Caribbean Sea and specialties in the stone oven. - The Deli : It offers an extensive selection of sandwiches, bagels, salads, delicious desserts and aromatic coffees and teas. It also has computers with internet access (with additional charge). - The Lounge & Terraces : Bar with a modern, relaxed atmosphere, you can enjoy original cocktails and stunning views. During the day, watch the water turquoise of the Caribbean Sea and at night to admire the beautifully illuminated hotel zone of Cancun. Sushi bar for lunch and dinner. - The Beach Bar & Grill : Feel the breeze of the Caribbean and enjoy delicious seafood, snacks, and grilled specialties, as well as refreshing International cocktails at our bar located facing the sea, or in the palapas and lounge chairs on our extensive Beach. - The Pool Bar: Located in a pool with service for all the area, you can enjoy your favorite drink as well as a variety of snacks and sandwiches. 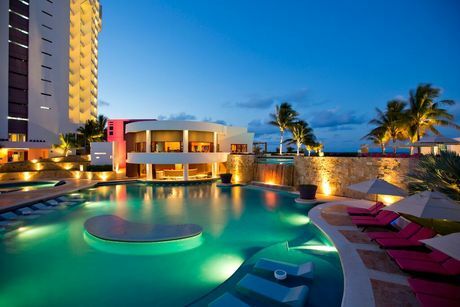 Krystal Grand Punta Cancun is an amazing Cancun lodging choice for your trip to Mexico. 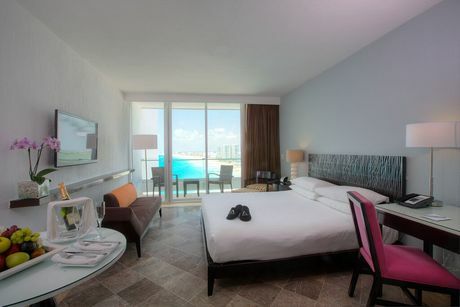 With numerous amenities for guests such as room service, car rental, children's play area, you will wake up at Krystal Grand Punta Cancun feeling ready to go every day for your time in Cancun. 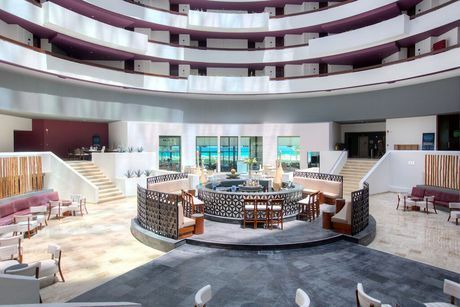 Don’t let this amazing reservation opportunity pass you by, book your stay at Krystal Grand Punta Cancun today to make the most of your time in Cancun, Mexico.